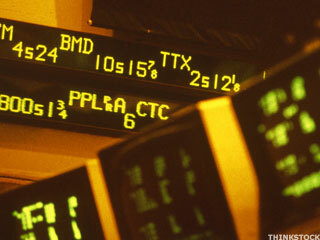 TheStreet Ratings released rating changes on 51 U.S. common stocks for week ending March 15, 2013. 24 stocks were upgraded and 27 stocks were downgraded by our stock model. Sprott Resource Lending (AMEX:SILU) has been downgraded by TheStreet Ratings from from a buy to hold. Sprott Resource Lending Corp Class A (AMEX:SILU) has been upgraded by TheStreet Ratings from a hold to buy. The ex-dividend date for Sprott Resource Lending Corp Class A (AMEX:SILU) is tomorrow, April 20, 2012. Owners of shares as of market close today will be eligible for a dividend of one cent per share. At a price of $1.58 as of 9:30 a.m., the dividend yield is 3.9%. The ex-dividend date for Sprott Resource Lending Corp Class A (AMEX:SILU) is tomorrow, January 25, 2012. Owners of shares as of market close today will be eligible for a dividend of one cent per share. At a price of $1.52 as of 9:30 a.m., the dividend yield is 3.7%. The ex-dividend date for Sprott Resource Lending (AMEX:SILU) is tomorrow, November 17, 2011. Owners of shares as of market close today will be eligible for a dividend of one cent per share. At a price of $1.40 as of 9:48 a.m., the dividend yield is 2.7%. Sprott Resource Lending was a winner within the financial sector, rising one cent (0.7%) to $1.25 on light volume. The ex-dividend date for Sprott Resource Lending (AMEX:SILU) is Monday, August 22, 2011. Owners of shares as of market close today will be eligible for a dividend of one cent per share. At a price of $1.57 as of 9:48 a.m., the dividend yield is 2.5%. The companies on this list are cheap, but they also carry market caps of $100 million or larger, making them much safer bets.